First off, it’s important to understand WHAT you’re writing. Often you have an idea but you can’t figure out where to go with it. Sometimes it’s because you haven’t come up with an angle. 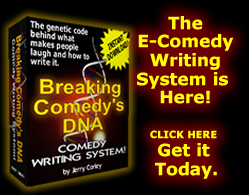 Writing comedy is much like journalism or script writing. You’re telling a story, but for the story to gain interest right at the setup, it must have an angle. An angle in story writing is much like your opinion on the matter. It’s what starts to shape the premise. Without an angle there is no premise and without a premise, it’s usually not interesting. I’ll follow that with a couple of tags. But it’s when I say, “I just couldn’t figure out relationships…” That’s when it becomes interesting to the audience. That’s something almost everyone can relate to. Also by saying “I just couldn’t figure out relationships…” Gives me an angle to approach the rest of the story. Now I can talk about each relationship the curious craziness of my ex and my glaring failures. I approach it like I’d approach writing a script from the seed of the idea. One of the first things you have to remember is a story isn’t a story without the Maxim of the 5 W’s being present. Meaning Who? What? Where? Why? When? and How? Without answering all those questions, there’s going to be huge gaps. 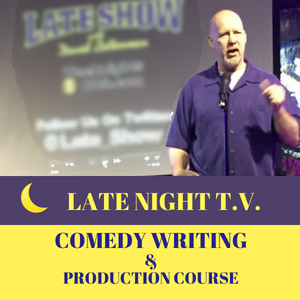 In comedy, by answering those questions you start to clarify the imagery and enhance the idea by adding more specifics, more detail. Sometimes the detail is what gets you to the jokes and the detail can change the direction of the joke, just like a screenplay or a story. So my student said he went shopping for a washer/dryer with his wife. He was just looking at why he AND his wife need to go shopping for appliances. But as we stepped out the idea it began to shape up in a different way because he was inspired by a new angle. We talked about the reasons why, answering one of the maxims. Then I asked “What?” As in what kind of washer did you wind up buying? To me, Samsung seemed like a weird answer. In my head I was thinking, Samsung doesn’t make washer/dryers! Boom! That sparked an emotion. Which indicates a point of view or an angle. And that’s when when we started riffing on an idea that fleshed itself out to a decent first draft bit. So that got it started. But I try to treat a premise like a wet towel and wring it out for everything I can find. Often in a premise it’s a good idea to find an analogy. An analogy will introduce a second element (a dissimilar idea). 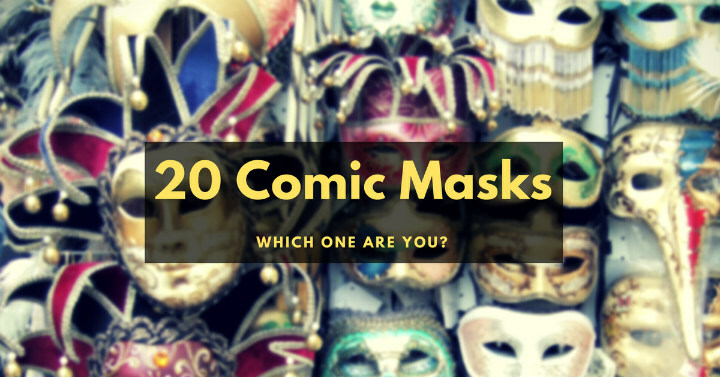 This gives you a chance to do a listing technique and come up with possible associative jokes. And since it’s comedy, we heighten the reality. …That’s like buying a Kotex Motorcycle. What would their slogan be? “Already comes with the girl riding it.” Come down and buy a new, 2017 Kotex V-Twin. We’ll make you a great deal. Swear to god, No strings attached. Nothing handles like a Kotex Motorcycle. Accelerates fast, turns on a dime, and it can navigate in the tightest places. AND, you can tell when she needs an oil change because she gets really moody. Realize that this is just a first draft approach. I don’t even know if the jokes will stay in the set, but it’s a good effort, especially considering he felt like he was banging his head against the wall and his premises didn’t seem to be going anywhere at all. So next time you feel like you’re stuck… start with an idea, step it out with the maxim of the 5-W’s, create an angle, drop in an analogy, look for the similarity between the dissimilar ideas and write the jokes. 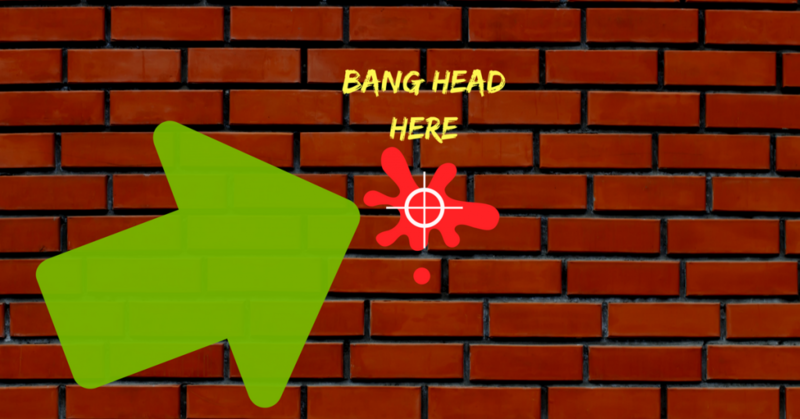 It’s just one great way to keep yourself from banging your head against the wall. 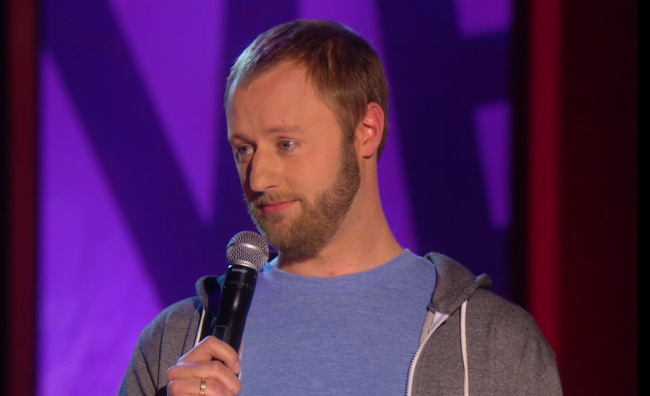 Comedians often wonder why some of their jokes are not getting a laugh. If you’ve ever wondered this, read on. One of the reasons could be that it is not believable. Comedians hear that they should tell the truth. That the truth is what’s funny. I think that pigeon-holes a comedian. I think it’s more accurate to say that your jokes or stories should be plausible. Even if they are a bit absurd. As audiences, we love to be fooled, but we hate to be made fools of. Whether it’s a magic trick or a good joke, we’re fooled just a little. We experience surprise or a bit of amazement so we smile, laugh, applaud. But, as audiences, when we’re made fools of we will turn. In comedy it is usually manifested as a groan or silence. In some cases you can actually watch an audience fold their arms, silently rejecting the performer’s recklessness in underestimating our intelligence. As comedians, we’ve all done a joke and expected a laugh and the joke resulted in anything but laughter. There are a lot of reasons that this happens. One of the most common reasons is the lack of understanding that comedy is heightened reality. Plausibility in a story or joke is essential. So if a joke is a story then it must have some kind of story structure and adhere to certain set of rules. Sorry to break the news to some of you, there are rules in story telling and joke telling. Fiction writers often argue that since they are the authors they can write anything since they are the creators. That is true. You CAN write anything you want, but if it does not follow certain rules, the reader or listener will immediately reject it. 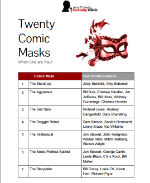 Stories, like jokes, have to adhere to a certain set rules. One of those rules is that the story or scenario has to be plausible. Another rule is that there should be some kind of point of view. He was wondering how it is plausible that Rory had ‘stolen’ seven grandmothers. And if that concept didn’t violate the rule plausibility and wander into complete absurdity. Rory’s persona is kinda like that of a sociopath. It’s quirky and off-center. He looks like he could’ve been one of those kids who was at risk of shooting up a high school so stealing and hoarding grandmothers doesn’t seem outside the realm of possibility for his persona. Also, in the structure of the storytelling, he adds, “…old people in wheelchairs, rarely turn around to see who’s pushing them.” This statement gives credence to how the main character in the story achieves his goal. As outrageous as the story may be, the act of stealing grandmothers and keeping them in your basement is certainly plausible. It’s physically possible and given the main character’s persona in the story, it seems like plausible behavior. If he didn’t introduce the van and he just said something like, “…then I transport them to my basement using my magical telepathic transporting powers… ” or something like that, it would be completely implausible or unbelievable. As a result the audience would think the comedian–by thinking that we would fall for such nonsense–are playing us for fools and we would reject the joke. That being said, if the comedian built into the story that this was a dream or that he was in a world where those powers could be attained through submitting 5 cereal boxtops and a self-addressed stamped envelope, then we might allow it, because the given circumstances of the story, the telepathic powers would be plausible. So the next time you tell a joke or a story and the audience doesn’t buy it. Maybe it is because it’s not considered plausible. If any one of those elements is NOT plausible (given the circumstances that were explained to us in the set up and the character), then the audience might not buy the concept and may reject it by responding to our joke with silence. Would love to hear your thoughts. Have you ever had a story or joke that didn’t work? According to Lorne Michaels, creator of Saturday Night Live, one of the crucial things an audience looks for in a comedian who first steps on stage is confidence. Confidence is a two-way street; you as the performer have to have confidence in yourself for the audience to have confidence in your ability to make them laugh. 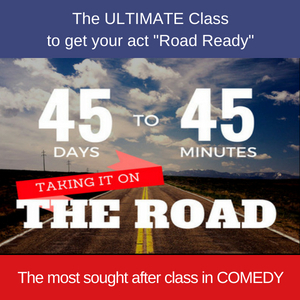 One way to build confidence in your act is to have a quick laugh within the first 10-15 seconds of taking the stage. Economy is key. Challenge yourself to a game of how fast you can get to the joke. How many words before you can get the audience to laugh? We built a laugh into Eugenia Kuzmina’s act by using her the emcee’s intro as a set up. The emcee says, “Ladies and gentlemen, coming to the stage now is a fashion model who wants to be a comedian. Please welcome Eugenia Kuzmina. So she gets a big laugh with as little as three words. Most of the time the audience begins giggling on her entrance, which helps to build the laugh on the line. Years ago I did a show at a casino/resort in Nevada that had a fire the week before that threatened the cancellation of the show. That news was in the paper (remember newspapers?). It was also on the news. When I was introduced, I walked on stage with a fire extinguisher, set it down next to me and… before I said anything, the audience laughed, then broke into applause. Problem with that is if I want to rely on that gimmick to get laughs, before I come to town I would have to arrange for the venue to have a fire. The good news is that many times the jokes are already sitting there in your existing act. You just need to use put on your comedy tool belt. Using one of my students recent intros, watch how we took introduction and added 3 more quick laughs, giving her 7 laughs in the first 30 seconds. It’s a good opening and has three laughs, but I took a look at the draft and thought there was a possibility to add a few more laughs. I looked at each sentence and utilized the maxim of the 5 W’s (Who? What? Where? Why? When? And How?). So just by asking questions like Why did I move to L.A.? and How is the “L.A. dating scene” different from other dating scenes? “What do I mean by a ‘few’ dates?, We were able to add about 3 more laughs to this opening for a total of 7 laughs in the first 30 seconds. That averages out to a laugh every 4.2 seconds. That’s a great start and executed properly that opening will assuredly demonstrate ability and give that audience a hypodermic filled with confidence. But, wait, there’s more! Just because that’s the opening bit she performed at her show, it doesn’t mean we can’t evolve the piece even further. The first thing that pops into my mind is that Laura compared L.A. dating to extreme sports. That tells us that there are two dissimilar ideas converging and that we can do a listing technique to generate some associative jokes to flesh this piece out even more. So go ahead. 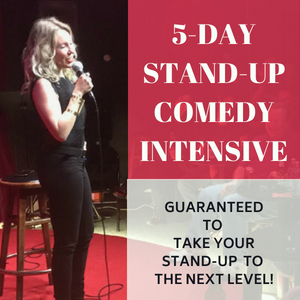 Take your existing material and develop it further just by utilizing the comedic tools you have at your disposal and build that confidence in your comedy with more laughs. 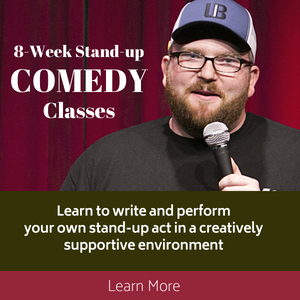 Join over 10,000 other stand-up comedy and comedy writing enthusiasts and Sign up for the Comedy Clinic newsletter and receive FREE comedy tips, tricks and gig information. Nothing gets a person’s pulse up more than a great plot driven by revenge. I’ve noticed that the best comedians use this super effective theme in their jokes or stories. When you set up an antagonist, the audience has an urge to root for the protagonist, or the hero, (to those of you unfamiliar with the term). The audience becomes emotionally invested in the protagonist ‘winning’ after being wronged. As a result, the audience is excited and gives more at the punchline. They laugh harder and not only that, they are also compelled to applaud. 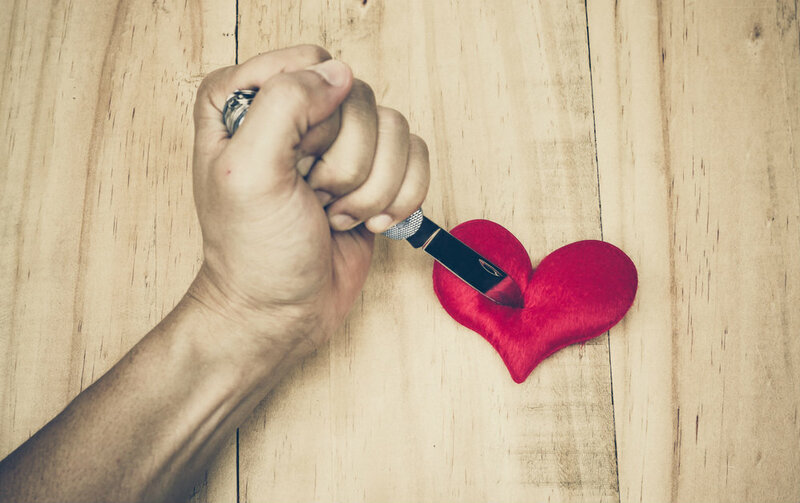 Since the individuals in the audience have also had an experience with being betrayed or otherwise slighted, they empathize with the comedian’s dilemma and are automatically emotionally invested. Since they have a similar experience, they want to see how you resolve it. So, when you avenge the wrong that was done to you, the audience feels that they also win. So it’s a more personal experience for them, so they applaud the win. By it’s nature as a structure in storytelling, the theme of revenge contains the critical combination of tension & release. There is immediate conflict and resolution which gives the story that necessary rise and fall that any story contains if it is to have a good beginning, middle and end. The advantage is that our audiences are already groomed to applaud when a story resolves. (Think about songs, when they end the music resolves back to the tonic note in the key, resolving the tension). And when a song ends, the audience naturally wants to applaud. To highlight this point, sing the end of the National Anthem or any country’s anthem. “… and the home of the brave…” That tension to resolution, urges the audience to applaud. Dropping that concept into your set, even in mini-doses, is almost like plug ‘n play applause breaks. I refer to this structure in comedy as “benign retaliation.” Meaning the revenge does not physically harm the antagonist and is usually proportional to what they did to you and saying it in words metaphorically as a cliche reformation, is much more symbolism than literalism. Although, once the audience is rooting for you as the protagonist, it’s impressive what you can get away with as far as retaliation is concerned: even in longer stories. This one month we were really strapped and I said, “We need to have a moratorium on non-essential spending.” She was like “Well, I need sandals, because it’s summer. They’re only 45 dollars.” So she went out to get sandals. And I knew I was in trouble because when she returned she had the bags with the rope handles… and she was like, “You have no idea how much money I saved us: I got this leather jacketâ€”normally 350 dollarsâ€”it was only 150! I got this sweaterâ€”it’s cashmere and silkâ€”normally 150, marked down to 70! You have no idea how much money I saved us! That simple story gets a lot of laughs and at the end it alwaysâ€”well, almost alwaysâ€”gets an applause break. In real life it’s not appropriate get even with your girlfriend’s spending, by implying that you slept with hookers, but in comedy… it’s on! Since storytelling began, revenge has titillated readers and listeners. It compels people to listen and participate emotionally. If you can get your audience to do that (even for a short joke) you know have a real winner. Being such a powerful theme in storytelling, comedy writers should familiarize themselves with the concept of revenge and really get an understanding for the passion in it that the audience feels. But keep in mind, that in comedy, the retaliation needs to be benign and who the antagonist is, needs to be clear to the audience. If it’s not it could be deadly to the joke. I realized that because I was cutting my set down for 4 minutes, I left out the part that she cheated on me, so the attack seemed to come out of nowhere. If the audience does not crave the revenge, then, quite frankly, the audience doesn’t know why to root for you and the risk is diminished laughter or no laugh at all. Here’s the irony of that story. Two months later, the talent coordinator was fired by Late Night for an interview where he was accused of being sexist. Take some time and build some benign retaliation into your stories. 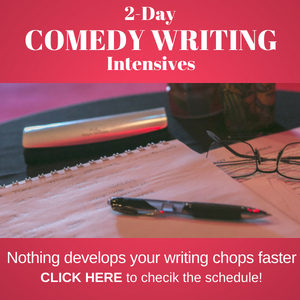 Watch some of your favorite comedians and see how they use revenge or benign retaliation in their stories or shorter jokes. What are some of your favorite benign retaliation stories?